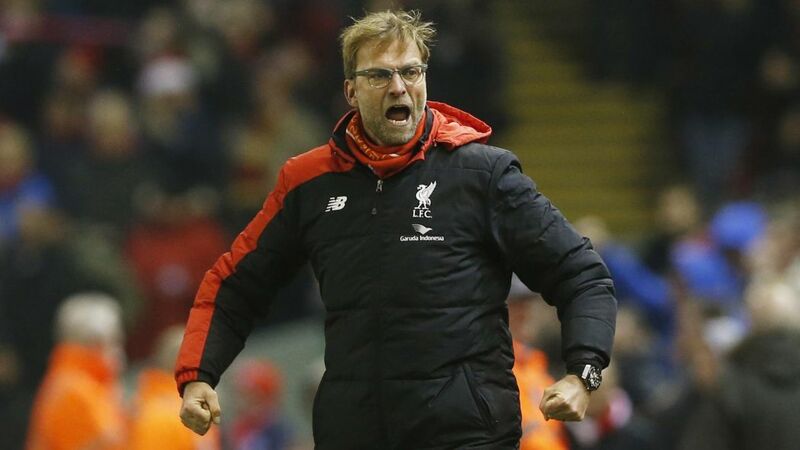 Tomorrow Jurgen Klopp will manage Liverpool through their twelfth League Cup Final. In doing so, he will become the seventh Reds manager to lead the club into the final. It’s a trophy The Reds have won eight times, but history shows it took us a while to warm to this particular piece of silverware. The League Cup began back in 1961, but Liverpool supporters would have to wait seventeen years to see their club reach the final in 1978. The game would ultimately end in disappointment, as Pailsey’s men lost 0-1 to arch rivals Nottingham Forest. Liverpool had previously conquered all before them, in both domestic and continental football, but the League Cup would continue to remain illusive until the 1980’s. 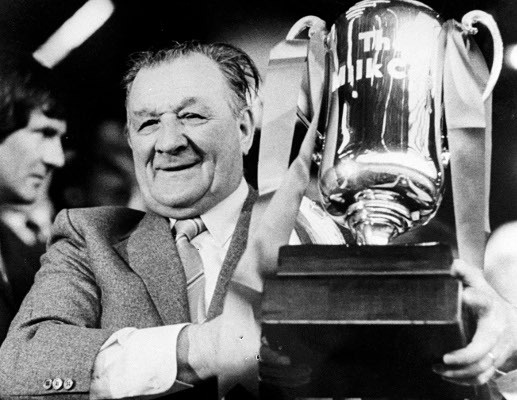 Bob Paisley had joked that the trophy was just a ‘Mickey Mouse’ cup anyway. Of course he received a lot of stick for that, but the great man would end up having the last laugh. He would go on to win it in three consecutive seasons; 1981, 82 and 83. How poetic that he would add three League Cups to his three European Cups, before finally handing over the reins to Joe Fagan. What followed was even more glory and it seemed that the ‘boot room’ dynasty would go on forever. Joe took the Reds back to the final in 1984 as part of a historic treble season. The opponents this time were Everton. It was the first time the Mersey giants had met at Wembley and the occasion may have got to the players. The game finished 0-0 and the two clubs would have to go again at Main Road. 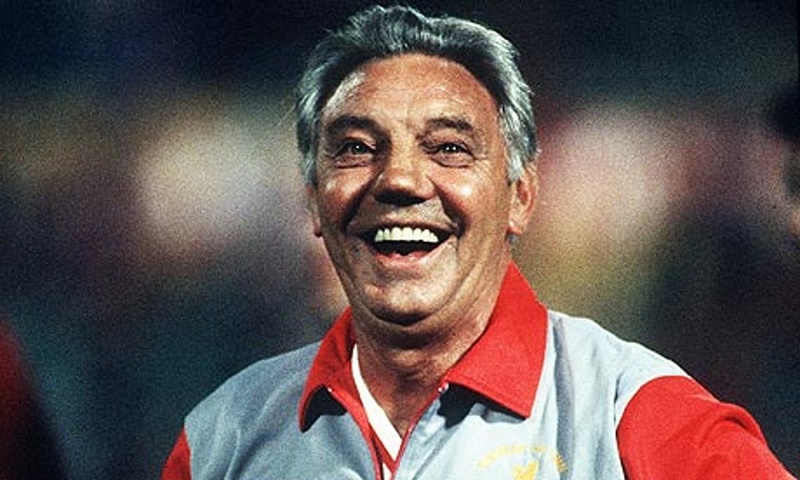 A Graham Souness thunderbolt would eventually help Joe Fagan retain the cup for Liverpool for a fourth successive season. It may not have been a League Title or a European Cup, but that trophy is responsible for Wembley being renamed Anfield South. Joe would move on in 1985 and Club idol, Kenny Dalglish would assume control. What followed was some of the best football a generation of Reds had ever seen. We won the League and FA Cup double, but the League Cup would escape The King. In 1987 he got his chance in a showdown with Arsenal at Wembley. The game go off to a great start with Ian Rush putting Liverpool 1-0 up. The omens were good, as Liverpool had never lost when the Welshman had scored. He had scored in 144 games without ending on the losing side until that day. Charlie Nicholas, a player Dalglish had attempted to sign, went on to break Kopite hearts by scoring twice to give ‘The Gunners’ the cup. Still it had been Liverpool’s fifth League Cup final in just seven years. A remarkable achievement. Liverpool would not be back in a League Cup final for eight years. In 1995 Liverpool were a very different club to the one that had dominated the ’80’s. No League title for 5 years and the Souness era had seriously dented confidence. 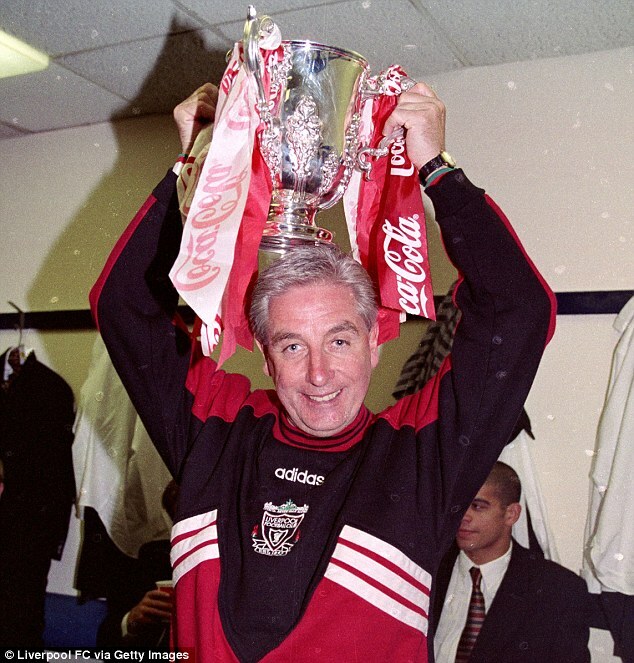 The appointment of Roy Evans felt like a return to days of the ‘boot room’ tradition. The football under Roy was magnificent at times and he led the club to his first trophy in his first season. It was the League Cup. The opponents were Bolton Wanderers, but it could have been anyone because we had Steve McManaman. ‘Shaggy’ was absolutely mesmerising that day and they would eventually name the final after him. Liverpool took a two goal lead, courtesy of McManaman in the 37th and 68th and the trophy looked to be ours, before Alan Thompson pulled one back just a minute later. What followed was an agonising finale as Liverpool held on for the cup. Liverpool would have to content themselves with just two trophies in the whole of the 90’s, the League Cup being one of them. It was a miserly return, when weighed against the unparalleled glory that had gone before. If the 90’s was a desert for The Reds in terms of footballing success, then the 2000’s would prove to be a glorious oasis. How apt that the millennium stadium would become a second home for Liverpool for much of the first decade of the new century. No red worth their salt will ever forget 2001. The year Liverpool won five trophies. 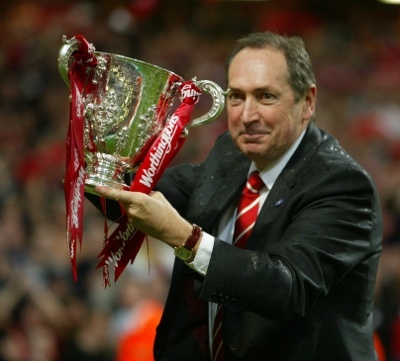 Gerard Houllier had become sole manager of the club after the failed joint managerial experiment with Roy Evans. Liverpool were faltering in the League, but reached their first cup final in six years, facing Birmingham City at Cardiff the following February. Liverpool’s record in the previous ten years meant nobody was taking the game for granted. As it turned out we were right. Robbie Fowler blasted Liverpool into the lead on the half hour mark. It stayed that way until injury time, when Stephane Henchoz brought down Martin O’Connor in the box. Darren Purse stepped up and drew the teams level from the penalty spot, ensuring an agonising half hour of extra-time. Liverpool would go on to win the shoot-out to claim their sixth League Cup triumph. It would prove to be the first silverware of an incredible season that will be remembered for decades to come. Just two years later Liverpool would be back again this time to face Manchester United. After initially struggling against the old foe, Houllier developed a bit of a hood over them. Liverpool supporters would go into the 2003 final full of confidence. Their bravado proved to be well placed as The Reds ran out 2-0 winners, thanks to Steven Gerrard and Michael Owen. It was a magnificent 7 in the League Cup for Liverpool, but it would be the Frenchman’s last trophy with The Reds. 2005 will be remembered for the club’s magnificent heroics in Istanbul. 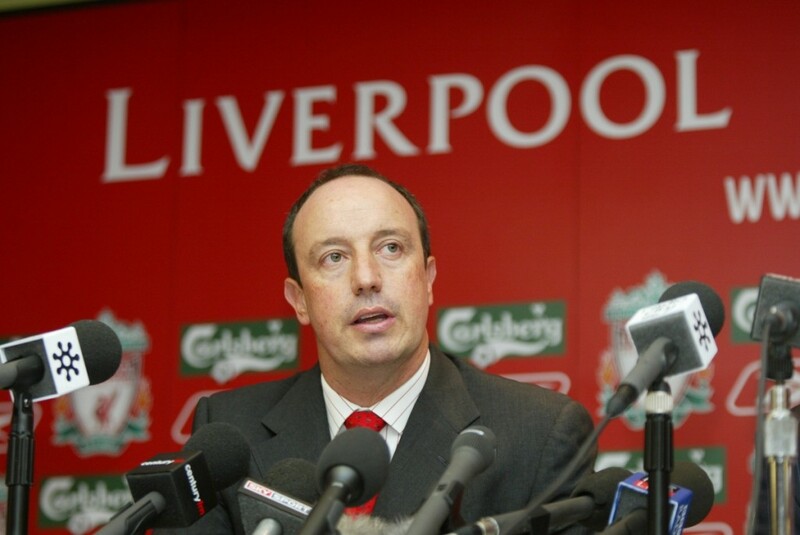 Houllier’s successor, the man from Valencia, Rafa Benitez will go down in legend for masterminding an astonishing second-half recovery against AC Milan at the Ataturk Stadium. However, that was the Spaniards second cup-final of his début season. Liverpool had met Mourinho’s Chelsea in the League Cup final in Cardiff earlier in the year. John Arne Riise had blasted Liverpool into a fist minute lead to send Red’s fans into delirium. Our love affair with the cup seemed set to continue, when in the 79th minute Gerrard headed a Ferreira free-kick into his own net to level for Chelsea. From that moment on the result seemed inevitable and Chelsea raced into a 3-1 lead with goals from Drogba and Kezman. Nunez, a player who is unlikely to be remembered fondly by future generations after becoming a make-weight in the deal that took Michael Owen to Madrid, grabbed a late consolation, but the game was over. We would wait another seven years to renew our acquaintance with the League Cup. It took the return of The King to do it too. In 2012 Kenny had answered the call after a disastrous six months under the yolk of Roy Hodgson. There were fears that he might tarnish his reputation by taking on a club in crisis. He dismissed such worries in typical stoic fashion and led Liverpool to two cup-finals in one season. The first of the two was the old favourite, the League Cup. 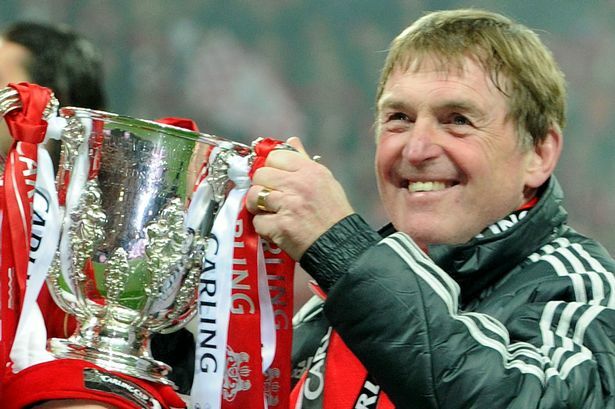 Thanks to Dalglish, Liverpool were back at Wembley for the first time since 1996. The opponents were Cardiff, a city in which The Reds had enjoyed so much trophy success at the start of the century. They took the lead after a mix up in defence, but Liverpool eventually fought back to take the lead through Dirk Kuyt in extra-time. The cup looked to be won, when a last gasp fumble from a corner gifted the Welshmen a leveller in the 118th minute. Yet another cup-final involving Liverpool would go to penalties. In a quirk of fate, it would be Steven Gerrard’s cousin, Anthony, who would miss the all important spot-kick and hand Liverpool their eighth League Cup. So, here we are, just four years later and we’re back in another final. Yes there’s a new man in the dugout, but the magic is back. Next Sunday Jurgen Klopp will take his place among a league of extraordinary men who have taken Liverpool to an incredible 12 League Cup finals in just over half a century. Whatever the result, that’s a record no other club in England can rival. Here’s hoping he can bring home number nine to kick start another period of glory for The Reds. Have Cameron’s ‘Bullingdon boys’ run out of ideas already?